Victorian's sister, Virginian was built by Alex Stephen & Sons of Glasgow. Launched in 1904, she made her maiden voyage on 6 April 1905, from Liverpool to St. John, New Brunswick. 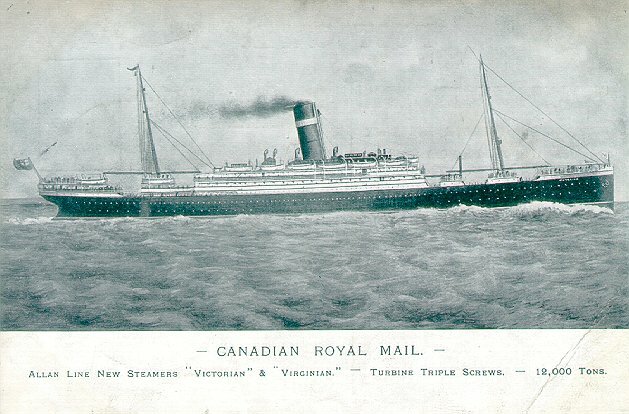 Although she, like Victorian, initially suffered vibration problems, Virginian was fast enough to set both east- and westbound Canadian speed records in 1906. 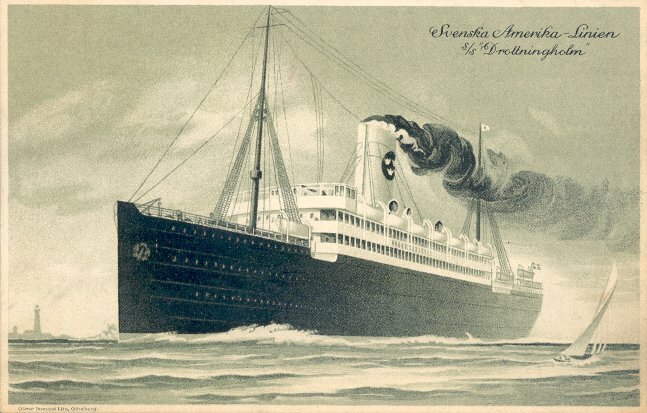 After Empress of Ireland was wrecked, Canadian Pacific chartered Virginian to take her place on the Montreal-Liverpool service. She made only a few such voyages, however, before war broke out. Virginian was then taken over for government service -- first as a troop carrier, then as an armed merchant cruiser. 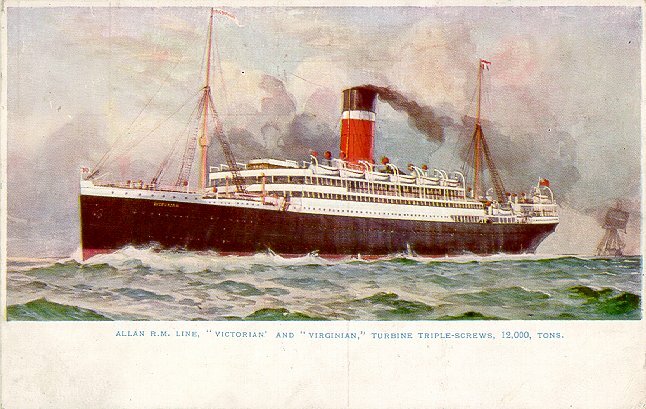 She was still in government service in 1917, when Canadian Pacific concluded its acquisition of the Allan Line. Virginian never sailed for CP after the war ended, however. Instead, she was declared surplus, and was sold to the Swedish American Line. 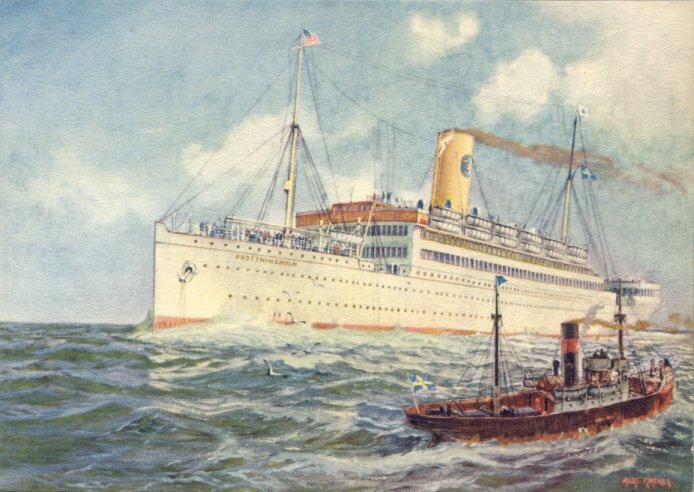 Renamed Drottningholm, she entered service from Gothenburg to New York in May 1920. 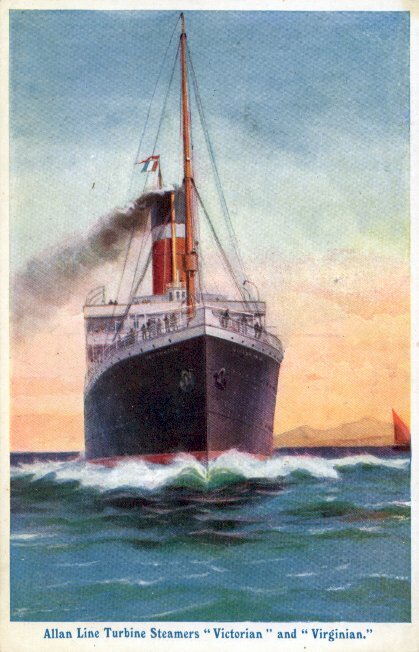 In 1923, the ship was given new engines and reconfigured to cabin/third class. She later became one of the few ships to serve during both World Wars when she became a Red Cross exchange vessel in 1940. At the war's end, she returned to Swedish American's service, but in 1948 she was sold to the Home Lines of Panama. Renamed Brasil, she entered service between Rio de Janeiro and Genoa in 1948. In 1950, she also made 4 1/2 Naples-New York roundtrips, to accommodate Holy Year pilgrims, and one New York to Bremen trip. 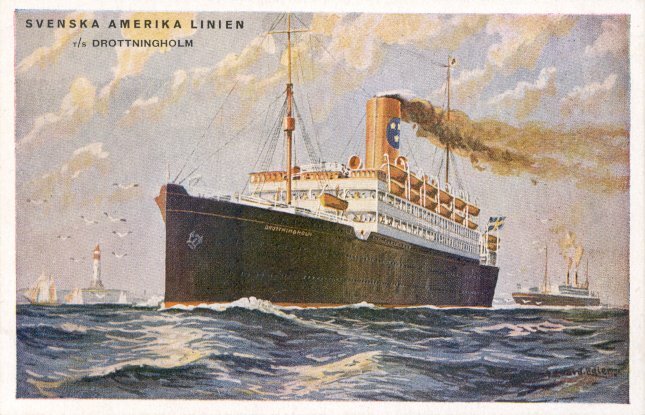 After a 1951 refitting to a first class/tourist arrangement, she was renamed Homeland, and entered Hamburg-Southampton-Halifax-New York service under Hamburg American management. 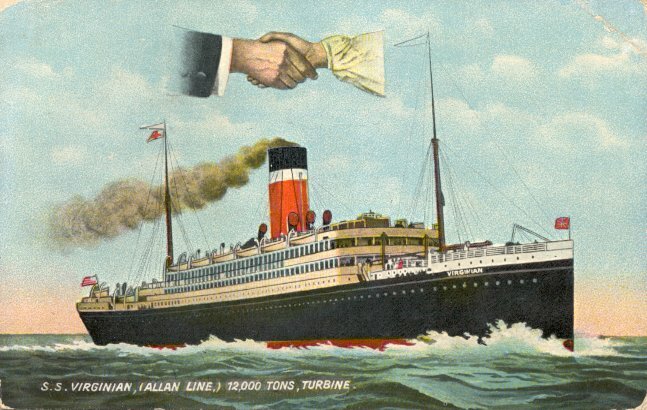 In 1952, she returned to New York-Mediterranean service for Mediterranean Lines, a Home Lines subsidiary. She went to the breakers in 1955, a few days short of the fiftieth anniversary of her maiden voyage. Sources: Bonsor's North American Seaway; Haws' Merchant Fleets.